Asymptomatic Hypertension: ED or No ED? When a patient comes into your practice with blood pressures of 180/100 but they feel totally fine, what should you do? How much evaluation should they undergo? Should they be treated in the office? Or should they be referred to the ED? In this segment, Dr. Joseph Martinez chats with our own Mizuho Morrison and Matt DeLaney about the outpatient management of severe asymptomatic hypertension. Blood pressure control is important, but it's most important in the longer term and patients can suffer adverse events if it is lowered too quickly. Hypertensive urgency - patients with a systolic BP ≥180 or a diastolic ≥110 mmHg who are minimally symptomatic or asymptomatic and have no evidence of end organ damage. 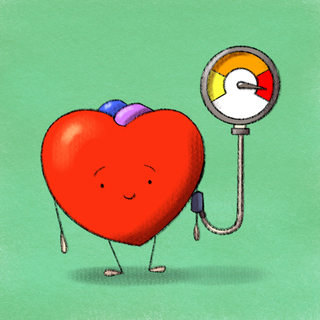 Patients who are truly asymptomatic and who are not at significant risk for developing rapidly progressive target organ damage should follow up with their PCP for blood pressure management. Evaluate for potential causes of elevated hypertension such as pain, substance withdrawal or rebound hypertension from stopping blood pressure medications. The American College of Emergency Physicians states that for asymptomatic patients with markedly elevated blood pressure, routine screening for acute target organ injury (eg, serum creatinine, urinalysis, ECG) and routine ED medical intervention is not required. A 2016 JAMA study found that patients who were sent to the hospital for hypertensive urgency had similar rates of major adverse cardiovascular events (MACE) compared to those that were sent home. The rates of MACE in both groups was extremely low as well at ~1% (Patel et al, 2016). A study published by Masood et al. in 2016 in the Annals of Emergency Medicine found that in a retrospective cohort of patients that were sent to the ED with asymptomatic hypertension only 8% were admitted. The risk of mortality was similar between the group sent home versus those that were admitted ( 1% within 90 days, 2.5% within a year, 4% in 2 years). In the entirety of the medical literature, there's never been a single study to show that abruptly reducing blood pressure is beneficial for patients that are asymptomatic, but there's been myriads of studies that show that it has the great potential to cause harm. WOW! This was a major practice changer for me. I used this information within a week of listening to this segment. I'm wondering if there's any research suggesting how slowly we should lower the blood pressure in these patients.